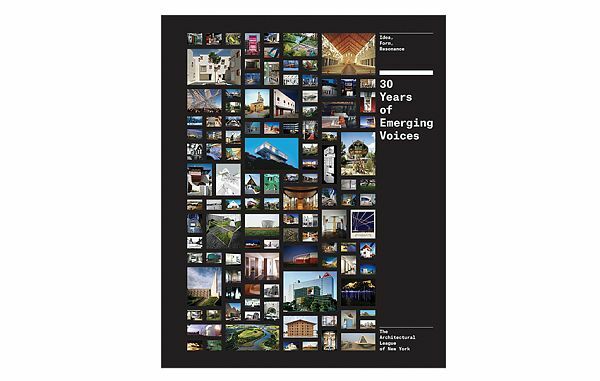 Revisiting three decades of winners as a continuum is revealing about what architecture truly is: not the province of a few celebrated practitioners, but an ongoing process of invention and reinvention by a multitude of talented and thoughtful firms. I was pleased to be asked to contribute a text to the book about the winners of the mid-2000s. I took as my theme the rise of partnership. I’ve posted it in full below. The biggest architecture story of 2013 was an insult from 1991. When Robert Venturi won the Pritzker Prize that year the jury citation mentioned his partner and wife Denise Scott Brown in the fifth paragraph. Asked about the Pritzker by the Architects’ Journal in March 2013, Scott Brown said, “They owe me not a Pritzker Prize but a Pritzker inclusion ceremony. Let’s salute the notion of joint creativity.” It is important for Scott Brown to be recognized because she deserves it. But the second part of her quote is more meaningful for the future of the field. More than making a place for women, Scott Brown’s emphasis on “joint creativity” means making a place for partners. Looking at the Emerging Voices across the decades reveals a program that has changed in order to reflect new definitions of both “architecture” and “practice.” These new definitions make the Pritzker, still fighting the idea of admitting a wrong, seem fundamentally out-of-date, despite the fact that it has honored two partnerships (Herzog & de Meuron in 2001 and SANAA in 2010). Even the AIA has (belatedly) recognized the importance of partnerships, voting in new rules for the Gold Medal that allow it to be awarded to pairs as of 2014. Starting in the late 1990s, the ratio of individuals to partnerships in the Emerging Voices program slowly began to change. The period from 2004 to 2008 is, if not a watershed, clear evidence of that shift. In 2004, John Friedman and Alice Kimm were the only partners honored. A year later, more than half the winners were firms with two or more principals. In 2006, half of the winners were partnerships. By 2007, partnerships, including brothers Peter Anderson and Mark Anderson, outnumbered individuals. And in 2008, nearly all the selected firms were led by multiple voices, including the five-person partnership of El Dorado, the four-person Onion Flats (three brothers among them), and siblings Granger Moorhead and Robert Moorhead. The rise of partnerships is an acknowledgment that one person isn’t doing it all. One person can’t do it all. Togetherness may be the only way to have it all. Partners have different but equal talents. Partners cover for each other during life events (births, deaths, illnesses). Partners write and partners design. Partners set up the plumbing inspection and partners manipulate the 3D model. And sometimes partners stay home two days a week to take care of the kids. The future of a sustainable, inclusive, and creative architectural profession also requires expanding the definition of “architecture practice.” Freecell (EV05), Lead Pencil Studio (EV06), and Höweler + Yoon Architecture/MY Studio (EV07) sustain themselves through both conventional and alternative projects, including installations. The “and” in many-handed firms means different skills, not all learned in architecture school: design and construction for Bercy Chen Studio (EV06) and design and development for then-partnership Della Valle Bernheimer (EV07). The makeup of Emerging Voices in the mid-aughts reflects reality. My own jury experience, in 2011, involved no predetermined agenda to select firms helmed by multiple principals, yet there were no sole practitioners among the winners. I sifted through the portfolios, waiting to be drawn into the work. I never counted the names on the title page. It is as important to recognize Denise Scott Brown’s role in what remains Robert Venturi’s Pritzker as it is to acknowledge that a single person is no longer expected to have all the talent or shoulder all the responsibility. To succeed, one shouldn’t have to do everything. Putting two, or three, or four, or five names on the door makes a tremendous difference, and diminishes no one.